Being a coach may seem like an easy profession but it is definitely not. It requires professionalism and an ethical attitude. 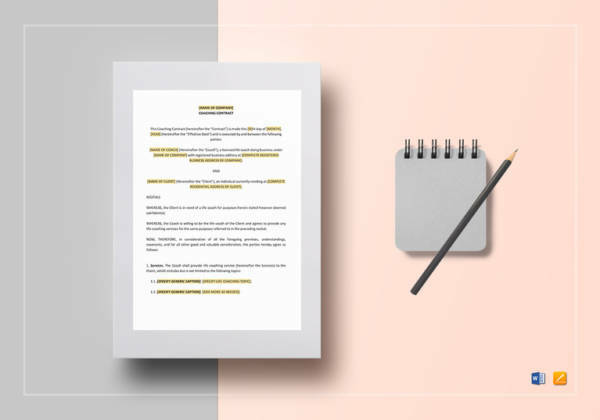 One way of showing how professional you are with what you are doing, you can provide your clients with a training contract template that will iron out all of the confusion and will answer any basic questions that your client may have about your services. You can also see service contract samples. If you are in need of references to see how these contracts look like, you can check the sample contracts that we have uploaded to this very article. You can read the importance of these contract templates as well down below. Just keep reading to find out more! 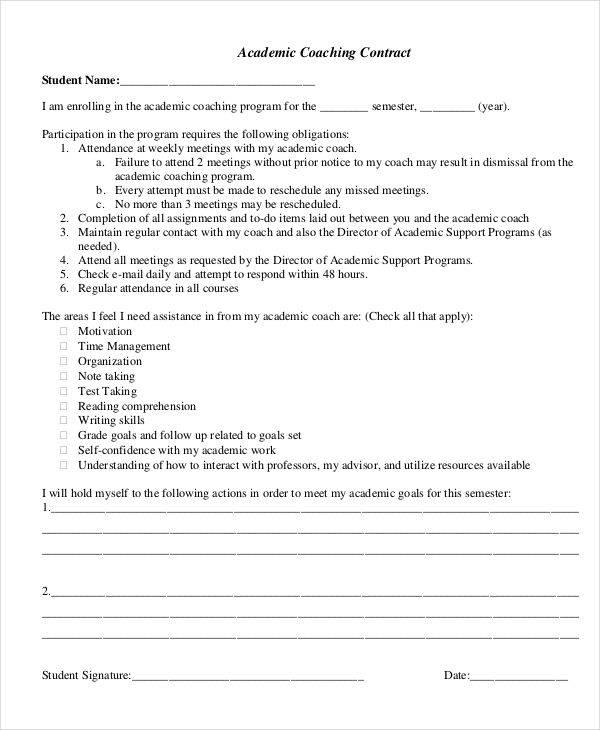 Why Prepare a Coaching Contract? 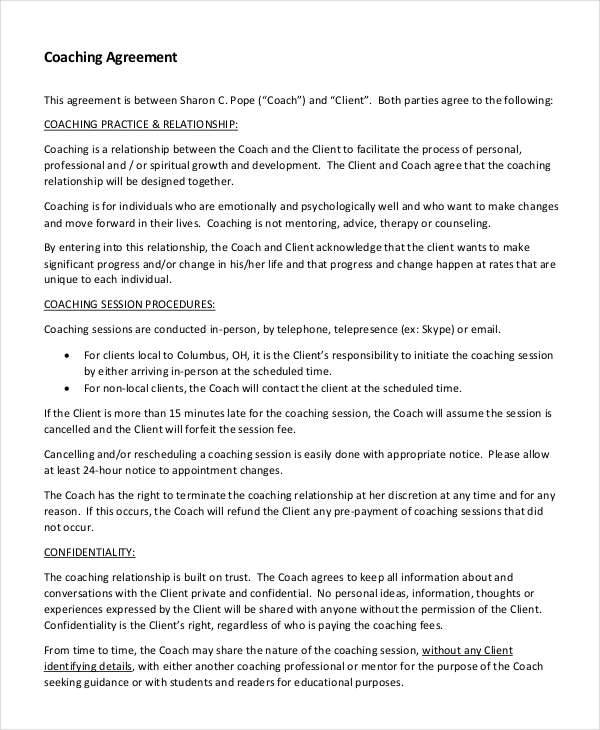 Just like any formal agreement, the coaching contract template that you will be preparing will be the one that will set the coaching relationship that you will have with the client which helps to let agreement between both parties know what their obligations are. It will also help to keep the liabilities of you, as a coach, to a minimum. A simple legal agreement contract will help to give you and your client peace of mind, and should things get a little out of hand such as if the client becomes unhappy from your services, you will still be protected from any damages. Having a contract checklist prepared will also help to give an impression that you are professional and that you take your work seriously. It can also aid in keeping the objectives you have as professional as possible. 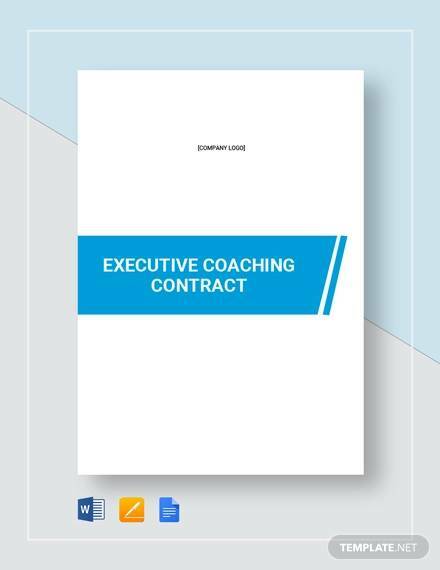 Moreover, if you are the one who will prepare the basic contract, you will be able to set the ground rules and things that are favorable to you to aid in making your coaching sessions effective and efficient. Contracts may seem like a tedious task for a coaching job but it will definitely give an edge over your competitors. 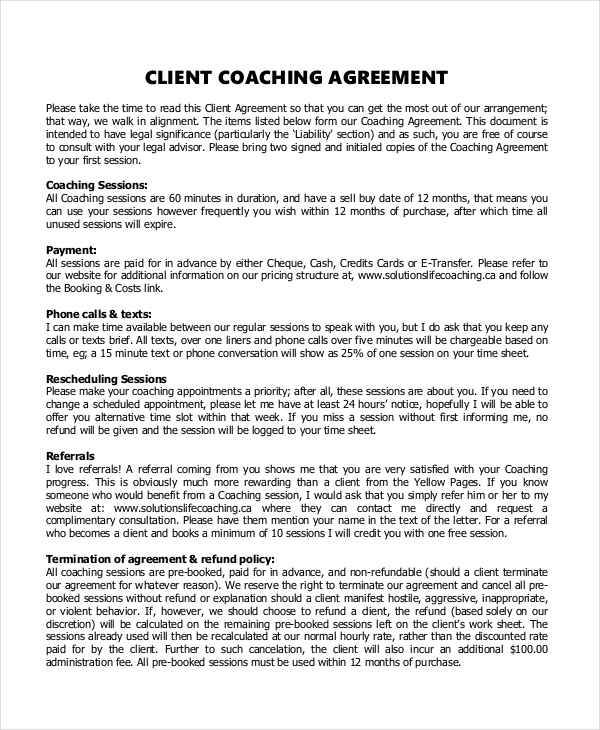 You can also see business coaching agreement. 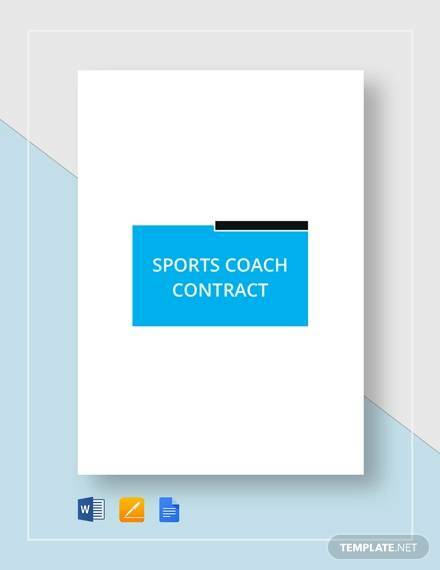 The contract template that you would be making should lay down all the basics about your coaching sessions. 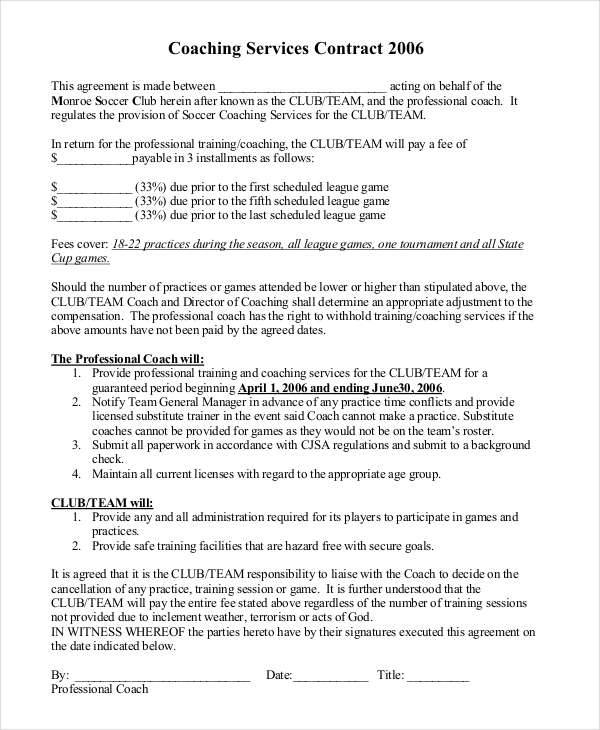 Here is what you will commonly find in a coaching contract. This will include the days and the number of hours you will spend coaching. To be more specific, preferable dates and time will also be included. The date when you will also start your coaching sessions will also be included. You can also see gym contract samples. You have to be specific about how you want to be paid and how much salary you are expecting. You should also state if you would like for payout to be on a weekly, bimonthly, or monthly report basis. You should also state what your rate is on an hourly basis or on a daily basis. You should also include extras and allowances to make everything more specific. This will make it easier for the client to make negotiations accordingly. You can also see investment contract template. Being a coach can be a costly profession. You need to buy materials for your audience to ensure that they get the most out of the training you will be giving. In case you will not be covering the cost of the materials you will be providing during the training sessions, you have to mention this in the legal contract to make everything clear to your client. 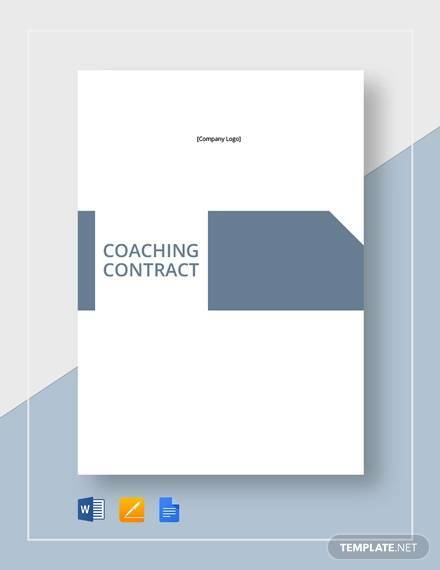 We hope that you learned the basics of coaching contract samples. To level up your game, you can check out Effective Tips for Making Solid Business Contracts and Best Ways to Make Every Contract More Profitable to make your contracts more effective.